After months of developing and many meetings with potential manufacturers all over parts of Poland we are now very exited to introduce the first ever Ready-To-Race-Nitro-RC-Outrigger directly aimed at beginners and potential pool racers. 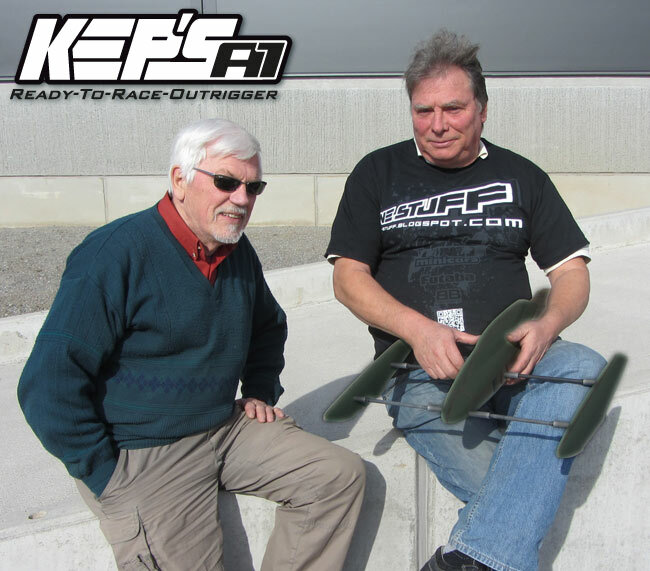 Let us present the all new KEP's A1 RTR outrigger. Jan-Erik Falk to the left and Mikael "Dr. Sunken" Sundgren to the right proudly presents the A1 RTR from the KEP's Factory. Dr. Sunken (head of the R&D troops @ the KEP's Factory) have put in many testing hours during the winter off-season all over salt lakes of Scandinavia. In February Sunken even took the ship to Florida to pick up some new development custom fuel cells from the godfather of tin sheet forging - Dr. Walter Barney - for the RTR that will revolutionize the complete RC scene. "You will be amazed with what we have come up with!" says Walt. 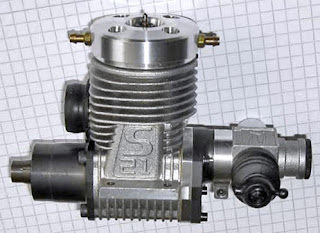 The prototype NR 21 marine engine by Jan-Erik Falk in it's early developing form. The NR-Keep RTR engine is a special edition only available in this ultimate package and it's race-optimized by Jan-Erik Falk himself. "I want to say that it has been a very challenging project to be involved with and I can say that it will run 100 mph right out of the carbon box on FAI fuel." That means that it's also the first RC Nitro boat that is not run on nitro! But it could not have been possible though without the original newly re-pitched silicone-stainless JG prop with variable cup by Mark Sholund - Buy the KEP's A1-RTR and get the prop for free! The boat itself is shown in prototype form that now incorporates the South-West Bridge (just outside of Stockholm) developed completely new environmentallyfriendlier compostite material that has taken the comb out of honeycomb. It just taste like sugar with hint of Benol® - and it's fast like nothing else to boot! 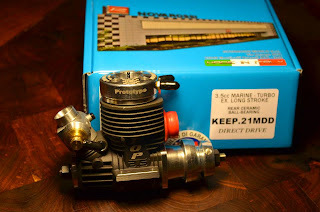 The KEP's A1 RTR will be controlled with a new "radio" system that has been developed side-by-side with Futaba that no longer uses 2.4GHz but Bluetooth® instead. Futaba are in the final stages of beta testing the new App (soon downloadable from App Store for just 3€) that actually makes the radio manufacturing obsolete as it's all up to Apple to develop the hardware to match the software now. The new App will have 21 channels - all possible by the new super smart multiple Y-harnes. "It's so smart and cool that we actually don't know how it works" says a R&D rep from Futaba that want's to stay off the radar. Cost you might ask? If you have to ask - Then you can't afford it! But it's just a "bank-robbery" away of being yours! Stay tuned - we will release more info soon as possible!